Conservative management is now the most common choice for men with low-risk prostate cancer. Active surveillance and watchful waiting have increased among men with low-risk prostate cancer and are now more common than surgery or radiation therapy, according to research presented at the recent American Society of Clinical Oncology’s Genitourinary Cancers Symposium and published in the Journal of the American Medical Association. Prostate cancer is the most common cancer (after noninvasive skin cancer) and the second leading cause of cancer death among men in the United States. Although this cancer typically grows slowly and only a small proportion of men will die from it, in some cases it can progress rapidly. Prostate cancer blood screening tests measure prostate-specific antigen (PSA), a protein produced by the prostate gland. In many cases, the test can reveal low-risk, slow-growing cancers that never would have led to symptomatic disease or death. Traditionally, prostate cancer treatment has involved removal of the prostate (radical prostatectomy) or radiation therapy. These can lead to adverse outcomes that negatively affect quality of life, including surgical complications, urinary incontinence and erectile dysfunction. It’s therefore important to avoid unnecessary treatment of nonaggressive cancer in men who would have never developed symptoms and would have died from other causes. For this reason, conservative management strategies, known as active surveillance or watchful waiting (AS/WW), have become more widely used over the past decade. Active surveillance involves regular PSA testing to monitor for rising levels that could signal cancer progression, while watchful waiting relies on men reporting symptoms such as changes in urination or pain that could indicate disease progression. Using the national Surveillance, Epidemiology and End Results (SEER) database, Mahal’s team looked at changes in prostate cancer management approaches from 2010—when national guidelines began recommending AS/WW for men with low-risk disease—through 2015. Over the entire period, among 164,760 men diagnosed with prostate cancer, 12.7 percent had conservative management, 41.5 percent received radiation therapy and 45.8 percent underwent radical prostatectomy. But these proportions changed over time and varied for men with different predicted risk of progression, as determined based on PSA levels, Gleason scores (how abnormal cells look under a microscope) and tumor size and location. Among men with low-risk cancer, the proportion receiving conservative management tripled, from 14.5 percent in 2010 to 42.1 percent in 2015, and it became the most common approach. Over the same period, radical prostatectomy declined from 47.4 percent to 31.3 percent, while radiation therapy dropped from 38.0 percent to 26.6 percent. Among men with intermediate-risk disease, AS/WW increased from 5.8 percent to 9.6 percent, while radical prostatectomy fell from 51.8 percent to 50.6 percent and radiation fell from 42.4 percent to 39.8 percent. For men with high-risk cancer, conservative management remained roughly stable (rising from 1.9 percent to 2.2 percent), while prostatectomy rose from 38.0 percent to 42.8 percent and radiation declined from 60.1 percent to 55.0 percent. The researchers noted that while evidence supports the shift from surgery or radiation to conservative management for low-risk men, the apparent shift from radiation therapy to prostatectomy for high-risk men does not coincide with new evidence or changes in guidelines. 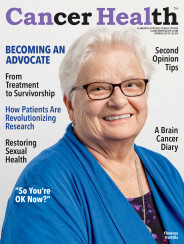 “This encouraging finding suggests that clinicians are better adhering to current recommendations and guidelines for men with low-risk prostate cancer, as the use of active surveillance in appropriately selected men will reduce rates of overtreatment,” Howard Soule, PhD, of the Prostate Cancer Foundation said in a Dana-Farber press release. Mahal’s team also presented two posters at the Genitourinary Cancers Symposium that looked at trends in prostate cancer by age and by race. Among men age 56 or older, conservative management was more common at the start of the study period but still rose substantially, from 15.9 percent in 2010 to 43.8 percent in 2015. Among younger men, use of AS/WW quadrupled, from 8.6 percent to 34.6 percent; however, in this group, radical prostatectomy remained the favored strategy, at 48.4 percent. These findings, the researchers said, suggest “some national ambivalence” about conservative management for younger men. Among Black men, use of AS/WW tripled, from 12.6 percent in 2010 to 36.4 percent in 2015. Conservative management was somewhat more common among non-Black men, though the magnitude of change over time was similar (from 14.8 percent to 43.3 percent). The researchers suggested the lower rate for Black men may reflect provider’s hesitancy to use conservative management for men who have historically had more aggressive disease and a higher prostate cancer death rate. Click here to read the study abstract in the Journal of the American Medical Association. 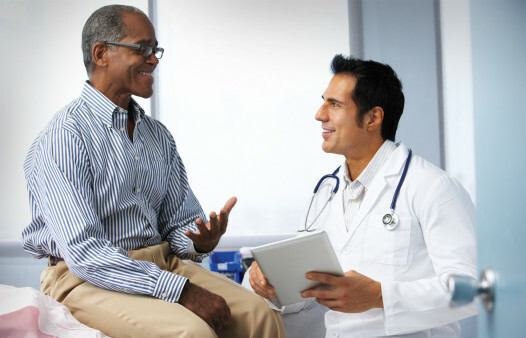 Click here to learn about prostate cancer screening.